Dr. King believes in looking at the big picture when it comes to your eye health. She takes the time to get to know you, your eye care history and your vision needs. Dr. King knows that getting the right prescription involves balancing several factors, including clear eyesight, visual efficiency and your ability to process visual information seamlessly. Whether you need a routine eye examination, an eyeglass fitting or treatment for eye disease (such as glaucoma or macular degeneration) or eye surgery (such as LASIK or cataract surgery), she will provide you with the best care, advice, options and follow up. And, if needed, Dr. King can provide Low Vision services. 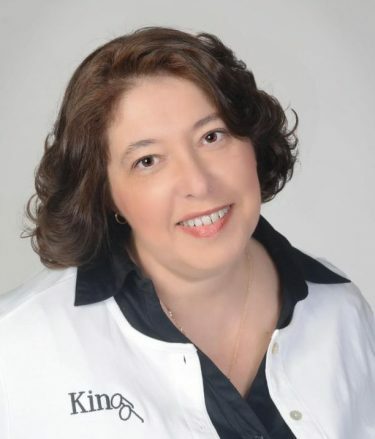 Dr. King has been serving New Jersey’s Bergen County for more than 30 years. Schedule an appointment to see how you can get the best for your eyes. From our office in Bogota, Diane A. King, OD serves patients from NJ’s, Bergen County and Teaneck – schedule an appointment today. Regular iWellness Exams can help your doctor detect common eye diseases such as glaucoma and macular degeneration. Dr. King is the most patient, thorough eye doctor. I’ve ever been to. I was fortunate enough to find her by “accident” in an emergency situation many years back and she was phenomenal even though I wasn’t her patient. Caring, concerned and professional. I’ve never looked back and would recommend her without hesitation. Dr. King is the BEST eye doctor, I’ve been to many over the years, and I keep going back to her. 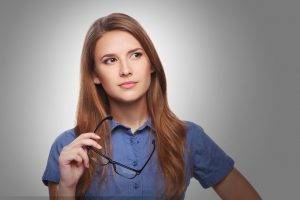 She really knows how to examine your eyes, prescribe the correct lenses and recommend attractive eyewear. Professional, personable and just PERFECT! Looking for an Optometrist in Bogota, NJ? 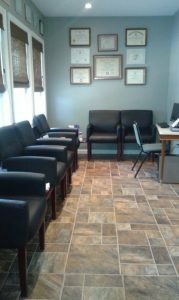 Dr. King takes the time to explain the results of your eye exam, describe your options and listen to your eye care needs. Because maintaining good eye health is an ongoing partnership, we encourage you to ask questions and share your health information, which could be vital to monitoring, diagnosing and treating potential vision problems.